Sitehawk.com recently published an infographic detailing the pertinent facts relating to the implementation of GHS. 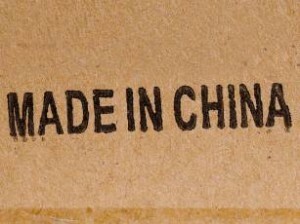 While GHS has historically focused on the international community, with early adoption by the European Union and Japan, the GHS trend is moving west and will definitely be in the spotlight in the U.S. in 2012. 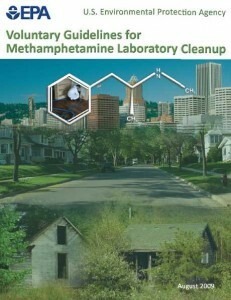 GHS has already had and will continue to have profound effects on chemical data management initiatives, both for companies that must author and publish material safety data sheets (M)SDS for their chemical products, as well as those companies that must manage (M)SDS and related chemical data for onsite chemical inventories. Below is a summary of the highlights. 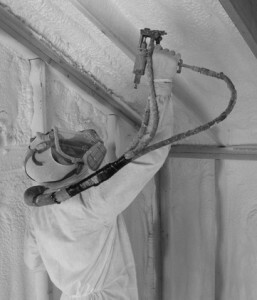 The U.S. Department of Housing and Urban Development (HUD) and the U.S. Consumer Product Safety Commission (CPSC) today issued interim remediation guidance to help homeowners struggling to rid their properties of problem drywall linked to corrosion of metal in their homes such as electrical components. Earlier this year, HUD and CPSC issued a protocol to help identify problem drywall in the home. Today’s interim remediation guidance is being released in recognition that many homeowners want to begin remediating their homes and offers a next step to homeowners whose homes have been determined to have problem drywall. Based on scientific study of the problem to date, HUD and CPSC recommend consumers remove all possible problem drywall from their homes, and replace electrical components and wiring, gas service piping, fire suppression sprinkler systems, smoke alarms and carbon monoxide alarms. Taking these steps should help eliminate both the source of the problem drywall and corrosion-damaged components that might cause a safety problem in the home. To view a full text of the remediation guidance, visit the federal Drywall Information Center website. This interim remediation protocol is being released before all ongoing scientific studies on problem drywall are completed so that homeowners can begin remediating their homes. CPSC will continue to release its scientific studies as they are completed. Completed studies show a connection between certain Chinese drywall and corrosion in homes. CPSC is continuing to look at long term health and safety implications. 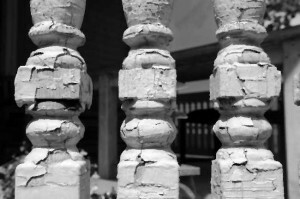 To protect against the risk of lead in paint, on April 22, 2008, EPA issued a rule requiring the use of lead-safe practices and other actions aimed at preventing lead poisoning. 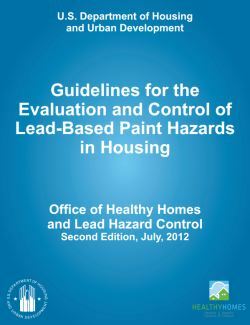 Under the rule, beginning in April 2010, contractors performing renovation, repair and painting projects that disturb lead-based paint in homes, child care facilities, and schools built before 1978 must be certified and must follow specific work practices to prevent lead contamination. The EPA “Green Book” (also known as Managing Asbestos in Place: A Building Owner’s Guide to Operations and Maintenance Programs) is now available on the EPA website. 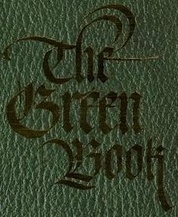 The “Green Book” is a guide to assist building owners/managers with the development and maintenance of an effective Operations & Maintenance (O&M) plan in their buildings. The EPA is continuing its study of assessing the outdoor air near schools for toxic contaminants. 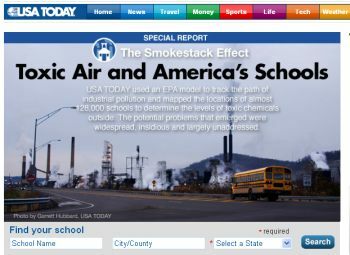 This study is based upon several factors, including: results from an EPA computer modeling analysis, the mix of pollution sources near the schools, results from an analysis conducted for a recent newspaper series on air toxics at schools, and information from state and local air pollution agencies (See OHShub.com’s original post on the EPA Study on Outdoor Air Near Schools). Monitoring at the schools will be phased in over the next three months. In some states, monitoring equipment is readily available and can be quickly moved to the schools to be monitored. EPA will purchase equipment for others. The monitors will measure two types of pollutants in the outdoor air at the priority schools: pollutants that are in gas form, such as benzene; and pollutants that are in particle form, including metals such as hexavalent chromium, manganese or lead. The pollutants monitored will vary by school. EPA will identify pollutants to measure at each school based on the best available information about the pollution sources in the area. EPA and states also will install equipment to measure wind speed and direction at each school during the monitoring. Monitors will be in place at each school for 60 days to provide a snapshot of monitored toxic pollutants in the outdoor air. The monitors will sample air quality on 10 different days during that time. The samples will be analyzed by the laboratories EPA uses for air quality analysis. To ensure the data is sound, EPA and state air agencies will check monitors to be sure they are operating correctly, inspect the laboratories, and review the data for any anomalies. additional reports will be released in November. Elemental and Chemical Testing: The study of the elemental and chemical composition of 17 drywall samples shows higher concentrations of elemental sulfur and strontium in Chinese drywall than in non-Chinese drywall. identify and measure contaminants and to inform a drywall home indoor air testing protocol. homes were not air conditioned. 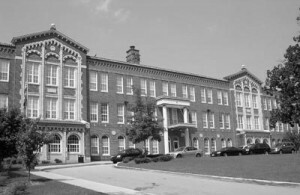 EPA modeling and subsequent air monitoring revealed the presence of carcinogens and heavy metals in close proximity to schools around the country. “It is meant as ‘a screening tool. It isn’t an in-depth analysis,’ says Nick Bouwes, who helped create the model for EPA” and should not be used to estimate risk. It should be noted that the data represents air quality outside of the schools and only thorough sampling inside the schools can document the indoor air quality.